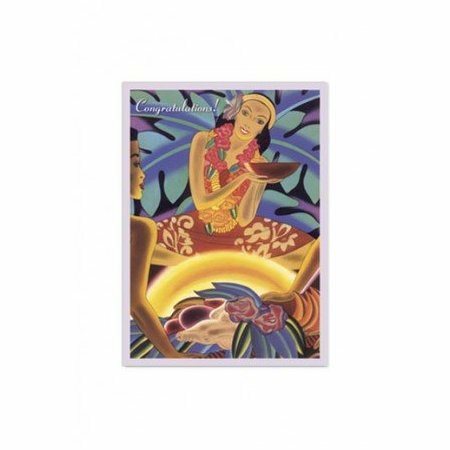 Inside Message: blank Send greetings with Hawaiian flair and let that special someone know how much you care with this Lu'au Congratulations Greeting Card. Card measures approximately 5" x 7". Very vibrant colors, and good quality.